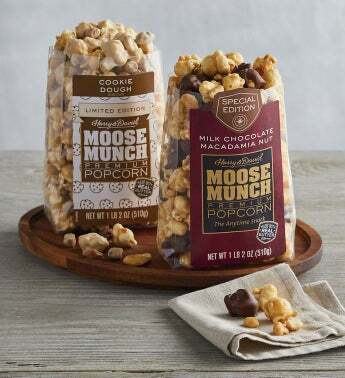 Add a sweet crunch to your day with this duo of limited edition Moose Munch® Premium Popcorn. Includes two exciting new varieties—cookie dough and chocolate macadamia nut. 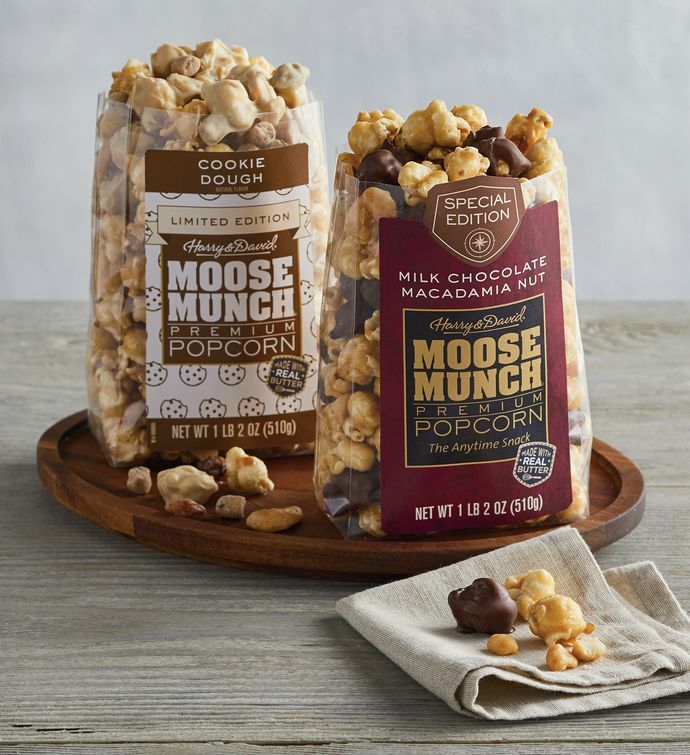 Both are made with our signature premium chocolate, perfectly popped popcorn, and real butter for an irresistible bite of goodness.